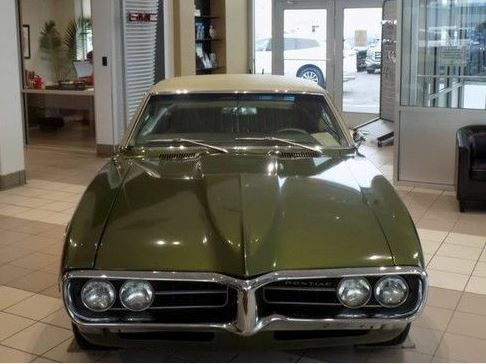 This car was stored in a garage over the past 50 years, and has standard slimline bucket seats, extra cost console, air conditioning, and wood covering accents on the dash and console. 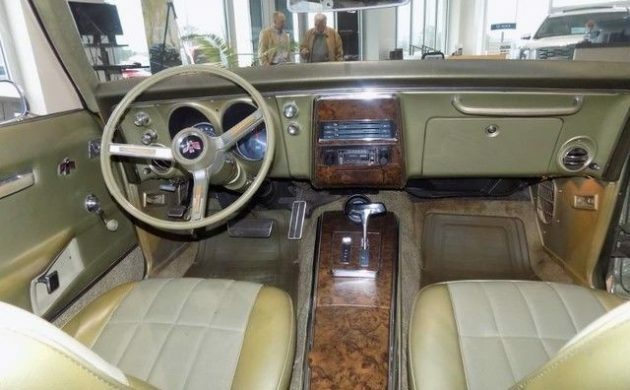 It also has an automatic transmission. The factory radio has been replaced with an AM/FM cassette radio. 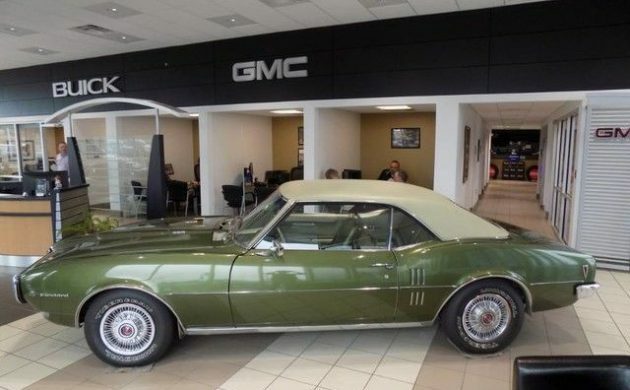 Never been a big fan of the early Firebird's and NEVER liked that color UGH!!!!! Looks like she never crashed it - so good job, parents and teenager! Verdoro green! 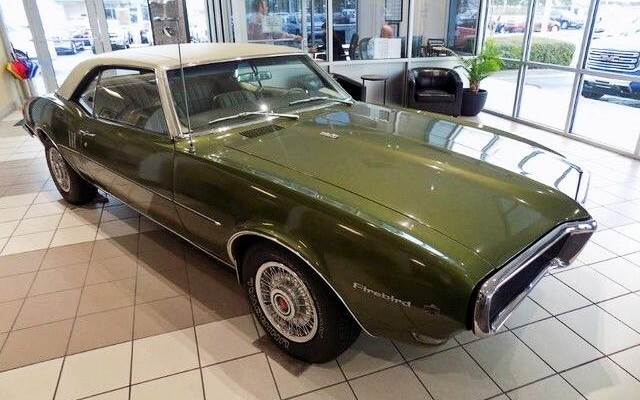 My parents had the exact car in a convertible version.